Our Music Alive! 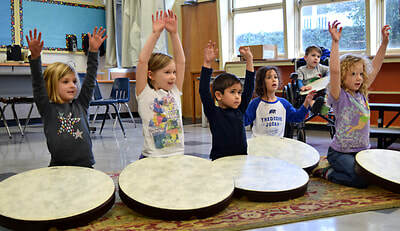 Program, which is 100% funded by the PTA, teaches music in all classrooms and introduces and guides all students to appreciate music through rhythm and song. Students get weekly music lessons from our PTA-funded Music Alive! 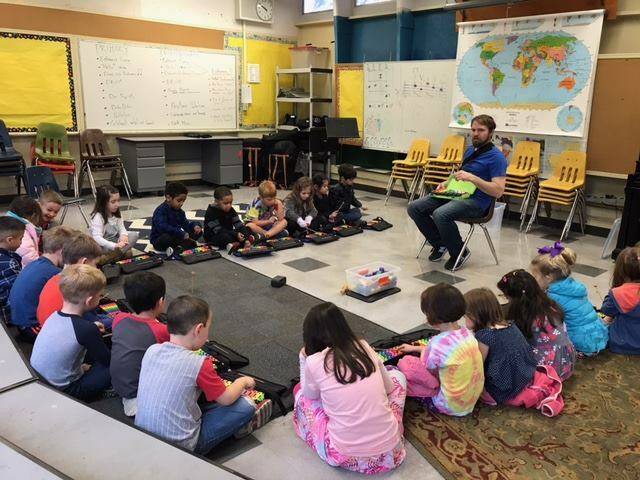 Teacher, Rob Keedy, in the Music Room (Room 9). Students drum, strum, and sing their way through the year as they learn about Discipline, Respect, and Unity through MUSIC (D.R.U.M.). 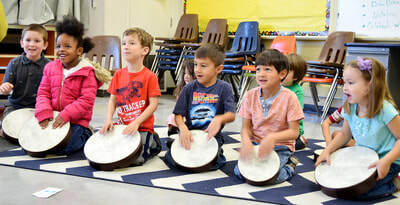 The PTA recently purchased a class set of RhythmPal paint bucket drums. Children in grades K thru 4 use these extensively, focusing on music fundamentals. Fifth and 6th graders learn to play the ukulele throughout the year; and are given the option to bring an instrument home for practice! Students perform twice per year: at the Winter Music & Arts Fest in December and Open House in May.